Malta police had received no cooperation from their Spanish counterparts. Police officers on Wednesday travelled to the Europol headquarters in the Hague to discuss developments in the tuna laundering racket, Times of Malta has learnt. Police sources said the main aim of the visit was to request assistance in the hope of collaborating with the Spanish authorities and get their hands on evidence to facilitate their own investigations. “A magistrate has been looking into the matter for several months. However, there is not much that can be done without the necessary evidence,” sources close to the Maltese investigation team said. A total of 79 people were arrested last October in an EU-wide operation Europol dubbed Tarantelo. The international operation was conducted by the Spanish Guardia Civil with the support of the French, Italian, Maltese and Portuguese authorities. 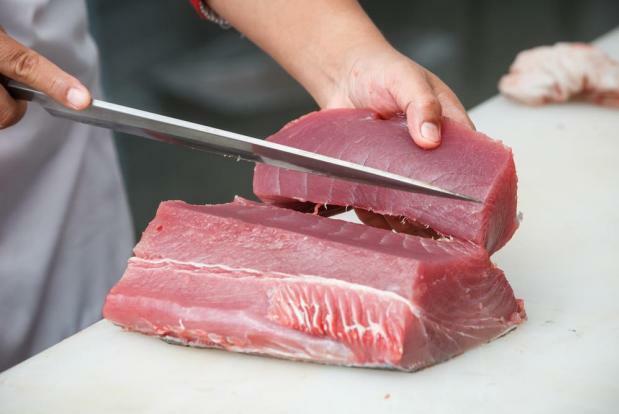 The authorities also seized more than 80,000 kilos of bluefin tuna as part of the crackdown on the illegal trade of the fish. Although the fish was mostly sold in the Spanish market, it was caught in and around Maltese waters and fattened in Malta-based pens. The sources said the Malta police had received no cooperation from their Spanish counterparts and that could explain why none of those arrested were Maltese. Sources close to the Spanish investigation were quick to point the finger at the Maltese authorities, saying they had not received any requests for information or assistance from Malta. “There were no Maltese arrested because the Maltese government has not cooperated with the Spanish Guardia Civil on this,” they said. However, on Tuesday fisheries director general Adreina Fenech Farrugia was suspended after transcripts of phone interceptions published by a Spanish news portal quoted her demanding money from Spanish tuna kingpin Josè Fuentes Garcia. Investigators in Malta and Spain suspect this latest development is “just the tip of the iceberg”. The sources said the authorities feared the tuna ranching industry was rife with abuse and that the Maltese regulator had long been infiltrated by rogue operators. Dr Fenech Farrugia with EU Commissioner Karmenu Vella. The transcripts, which form part of a Spanish court case due to start in the coming days, indicate that Dr Fenech Farrugia and Mr Garcia were in close contact using “secure” mobile phone numbers. In one exchange they discussed meeting at Malta hotels. The suspects arrested by the Spanish authorities referred to Dr Fenech Farrugia as “the boss”, according to the sources. A Spanish telecoms provider confirmed to the Spanish investigators that the mobile phone numbers intercepted were registered by giant fishing company Ricardo Fuentes and Sons. The Spanish investigators gained access to the exchanges by chance when they found a company mobile phone which was not Mr Garcia’s and appeared to belong to a “Andreina”. The Spanish investigators believe the exchanges suggested the two had a relationship of “absolute trust”, discussing meetings involving “senior government officials” possibly aimed at facilitating a tuna laundering racket. European Environment Commissioner Karmenu Vella on Wednesday “strongly condemned” the malpractices reported in the Spanish media and said the European Commission was in contact with Europol to follow up on them. Brussels said an audit of fish farms in Malta last October had highlighted “a number of shortcomings”, which it was now discussing with the Maltese authorities. It insisted that fishing for bluefin tuna in the Atlantic and the Mediterranean “is often considered as the most controlled fishery in the world”.